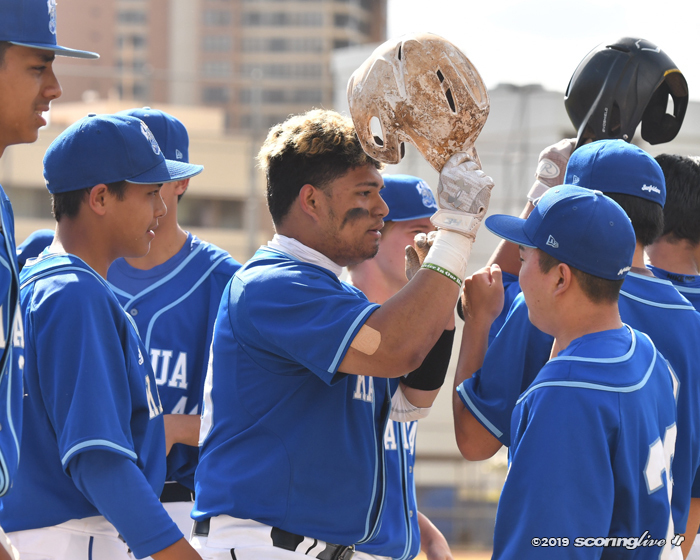 Visiting Kailua scored in six consecutive innings to turn back Moanalua for a 12-9 OIA Division-I East win Wednesday afternoon. 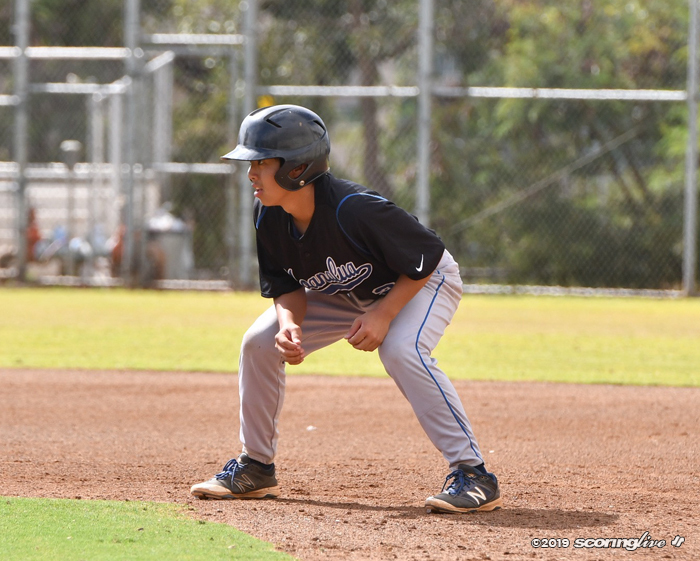 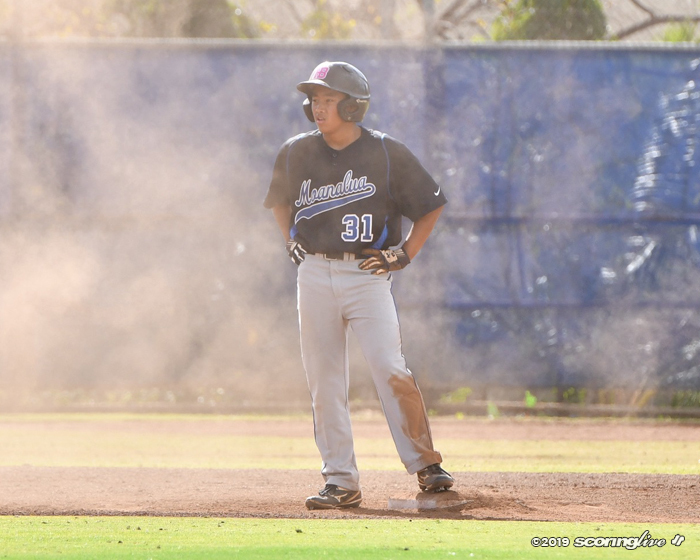 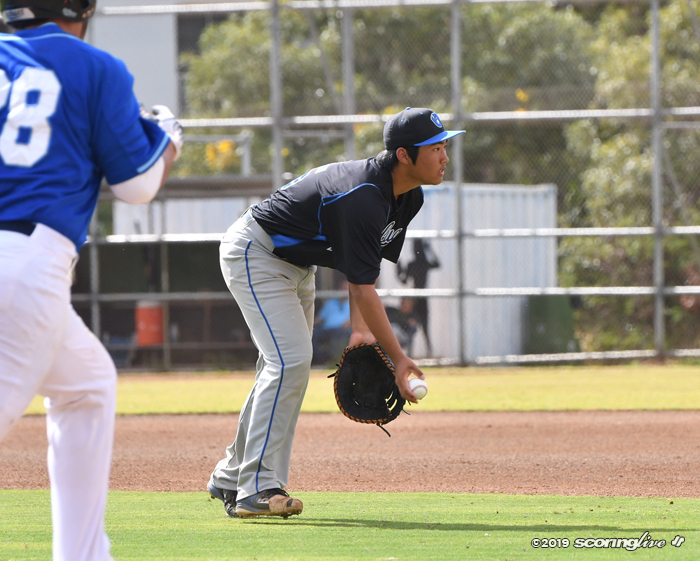 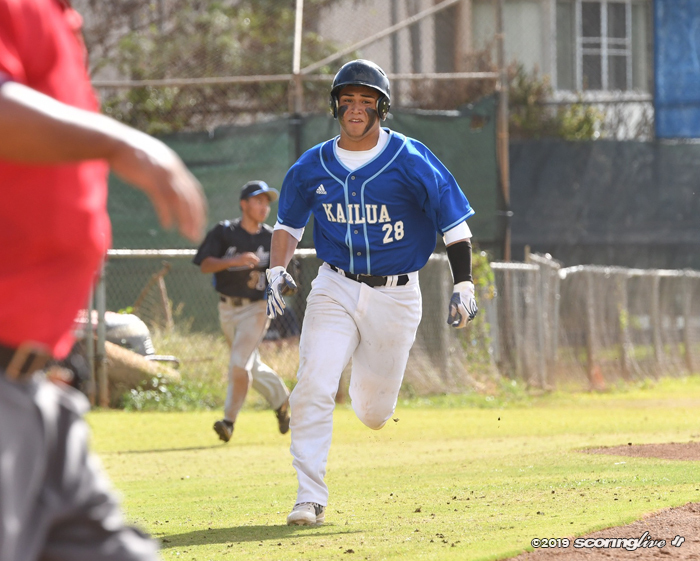 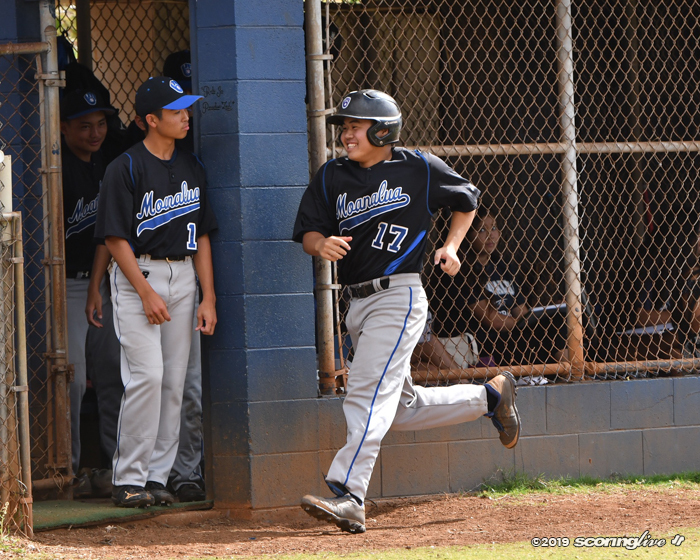 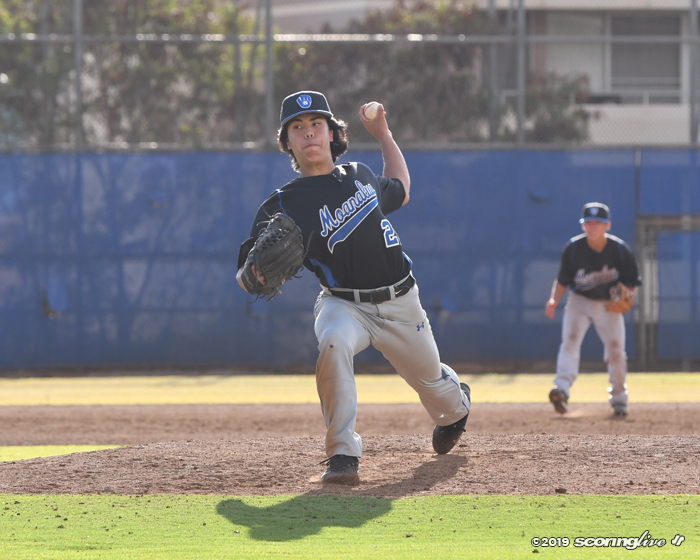 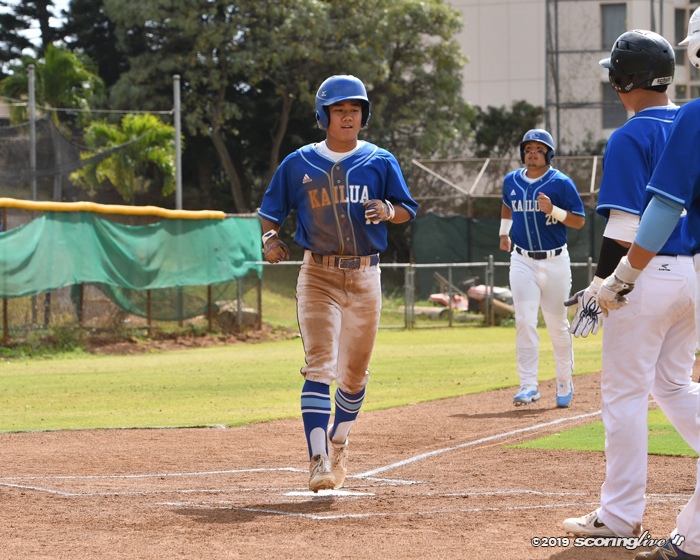 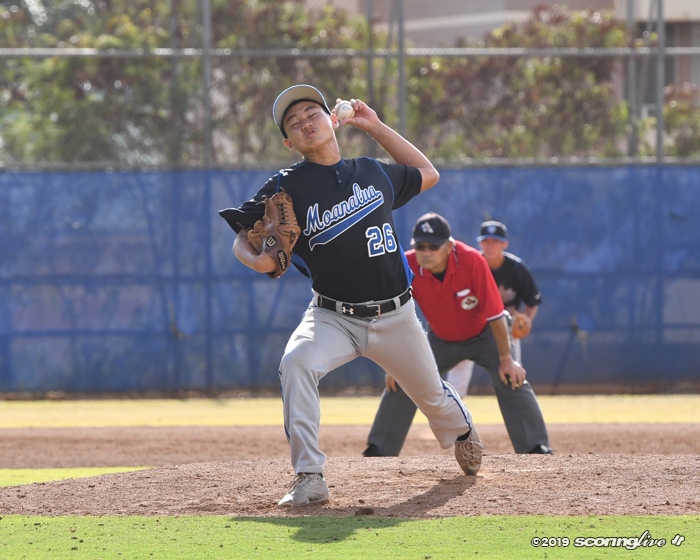 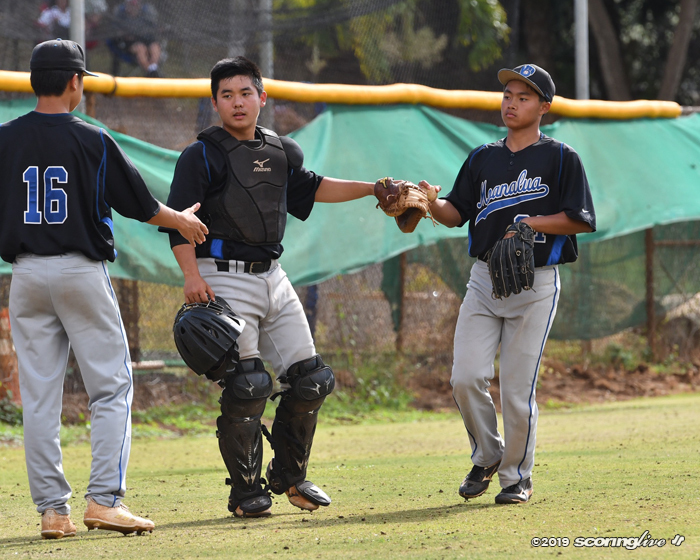 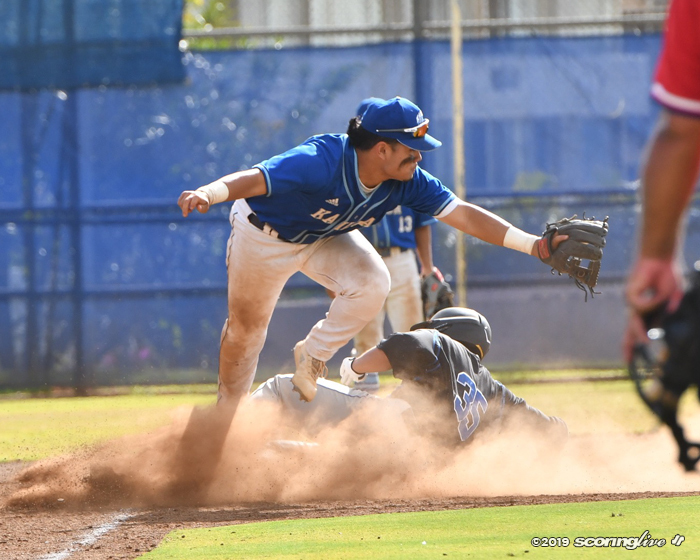 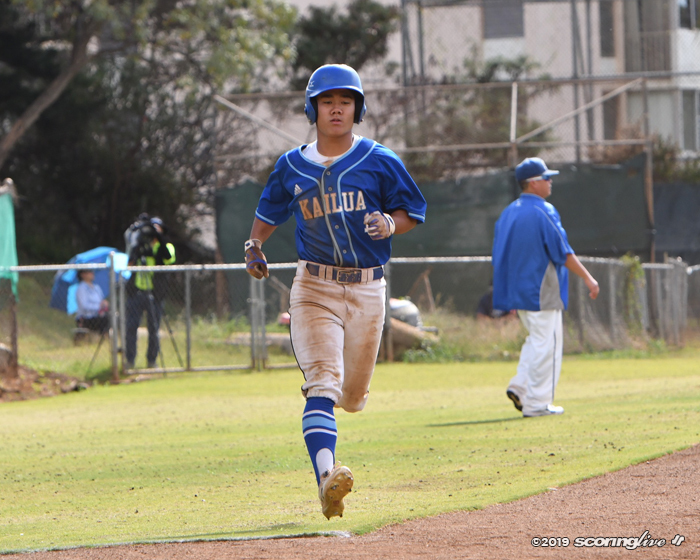 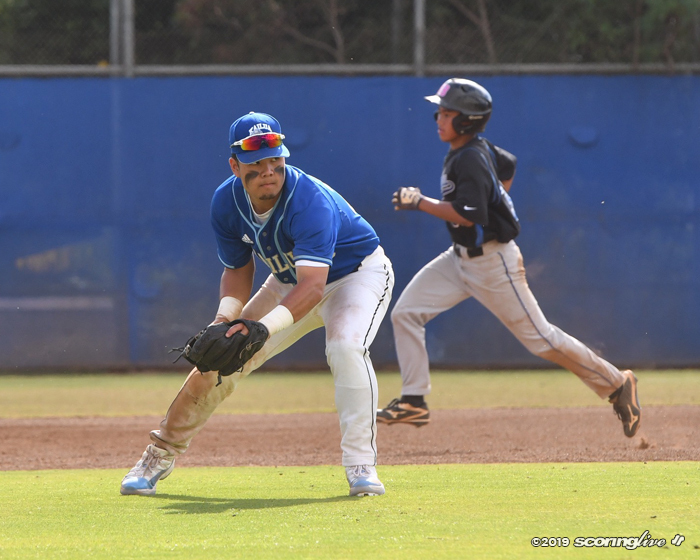 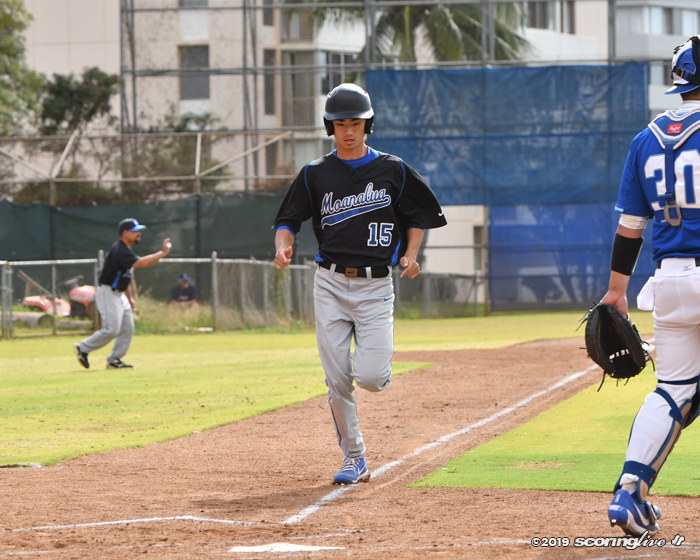 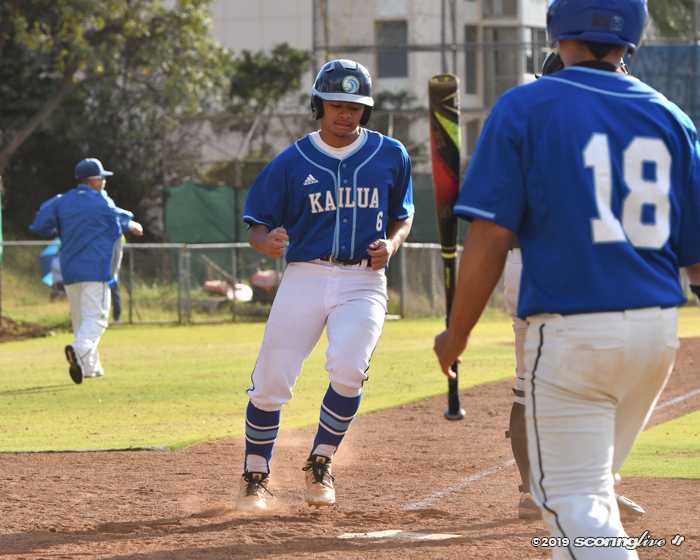 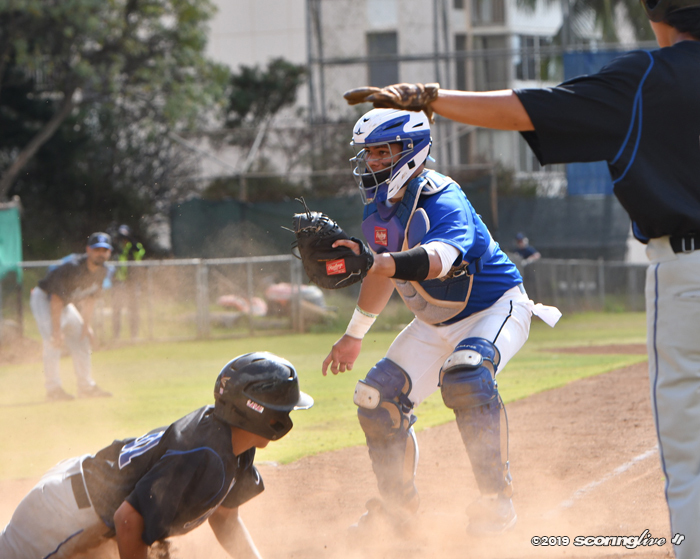 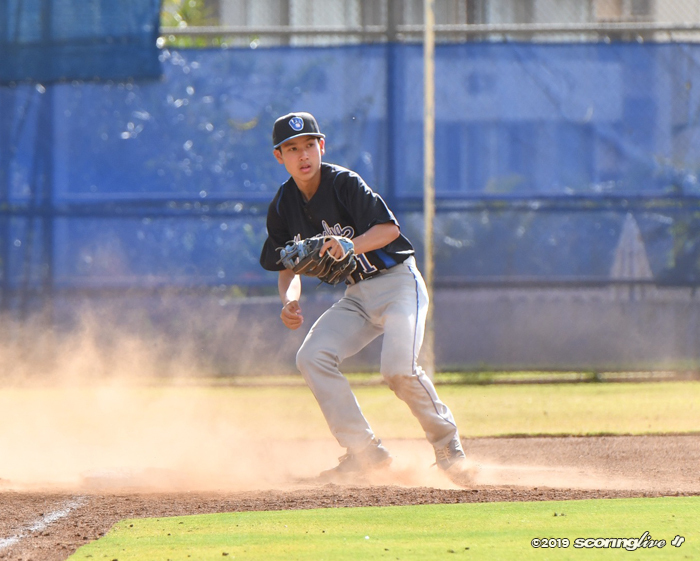 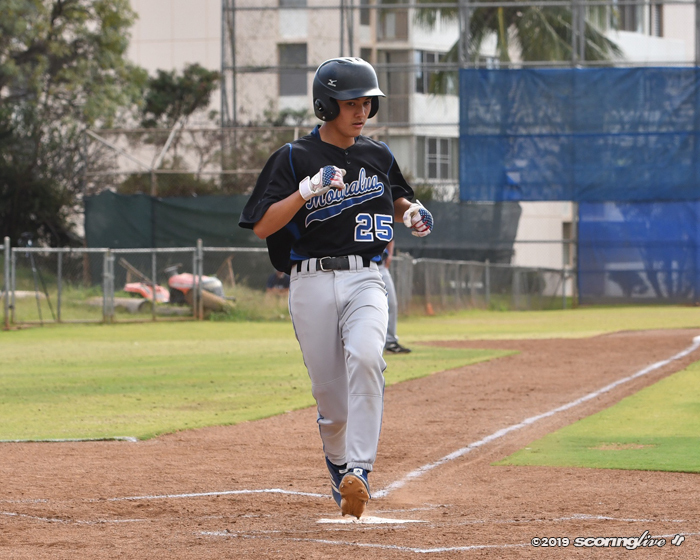 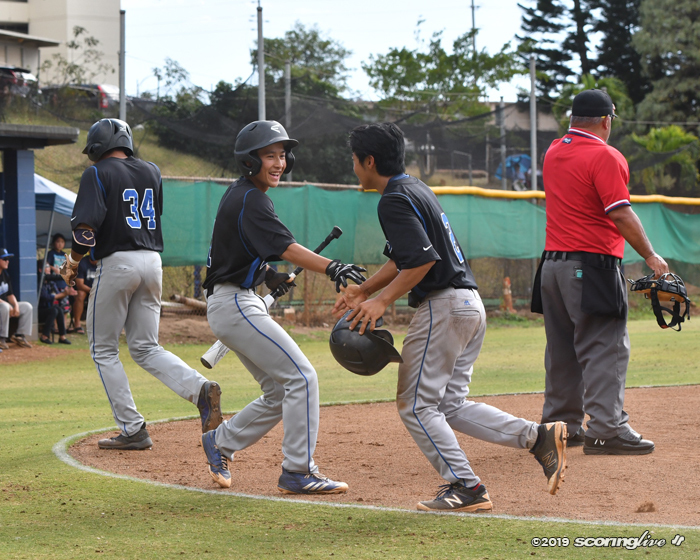 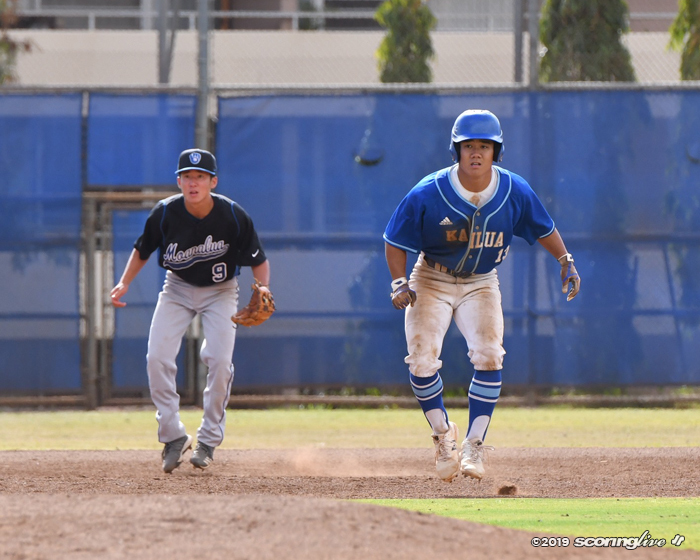 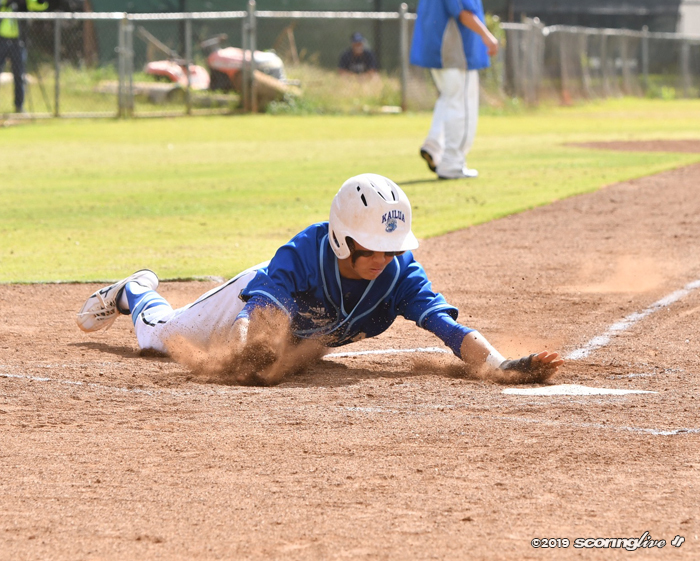 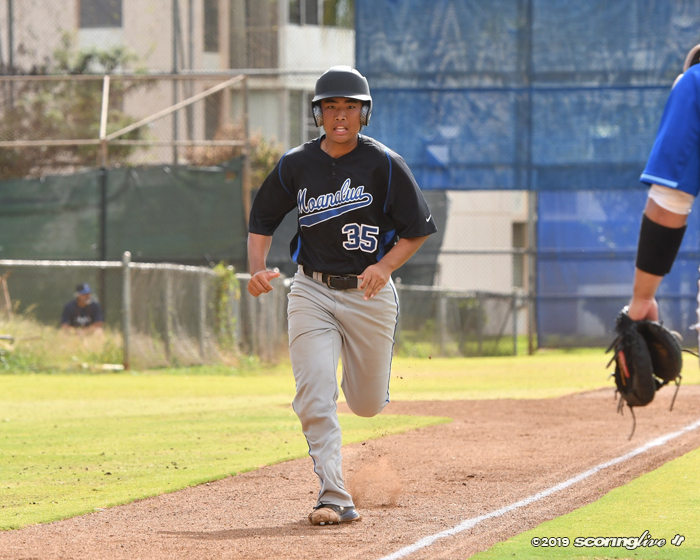 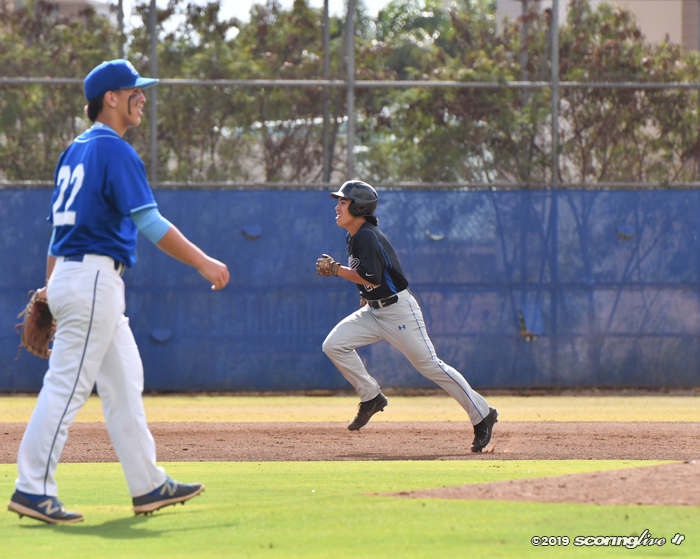 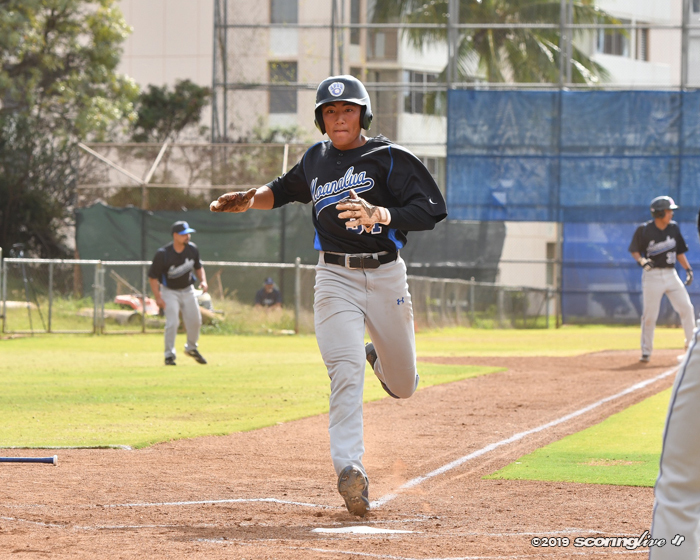 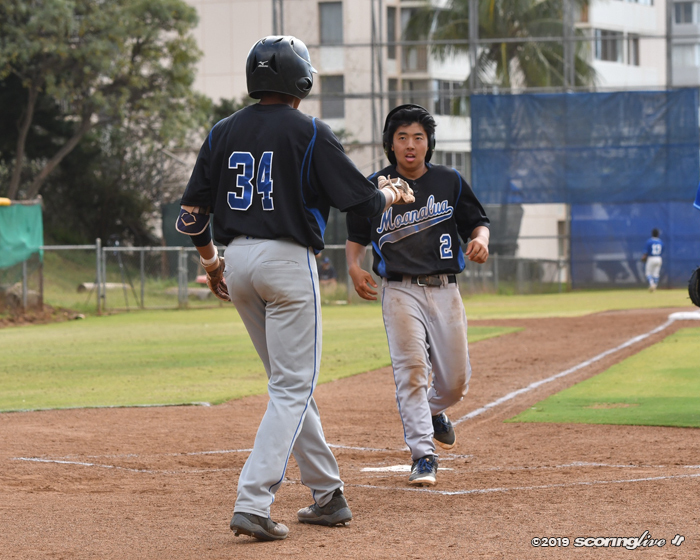 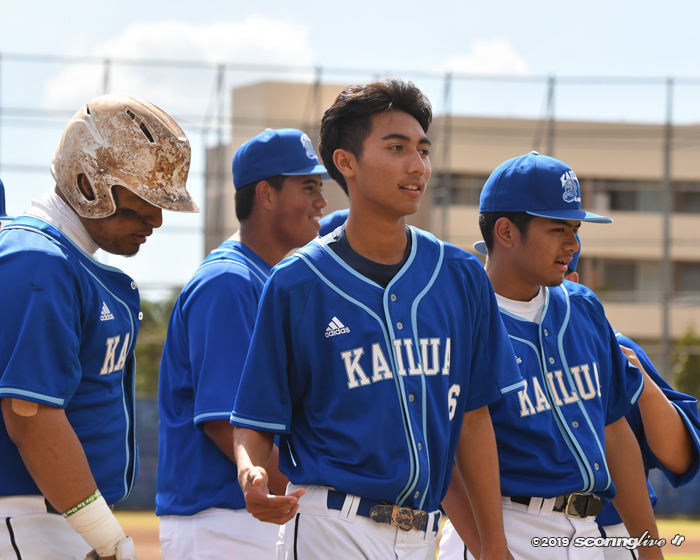 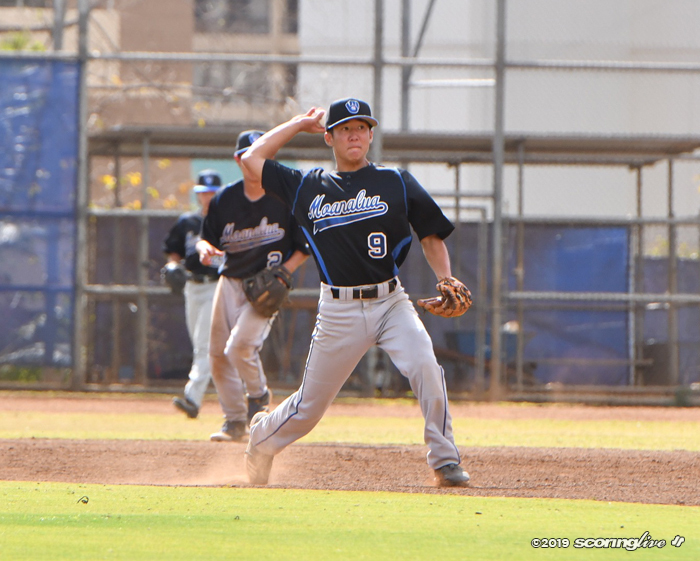 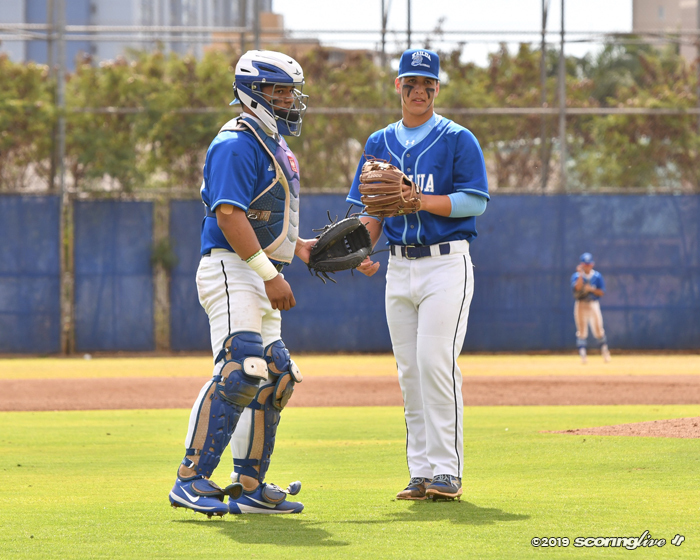 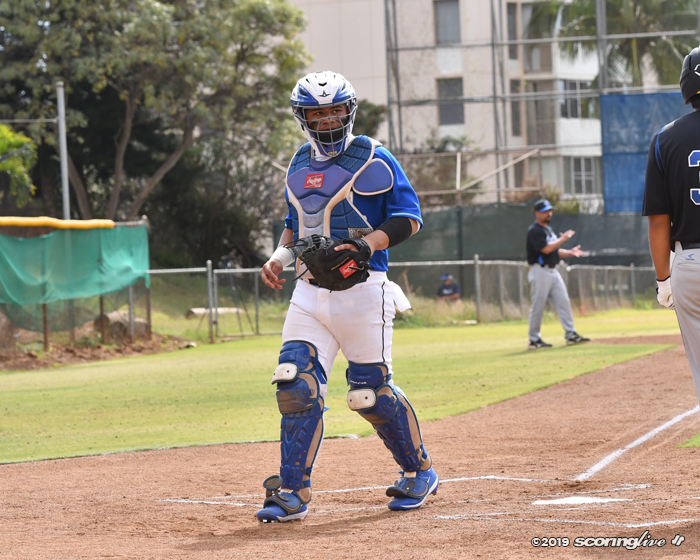 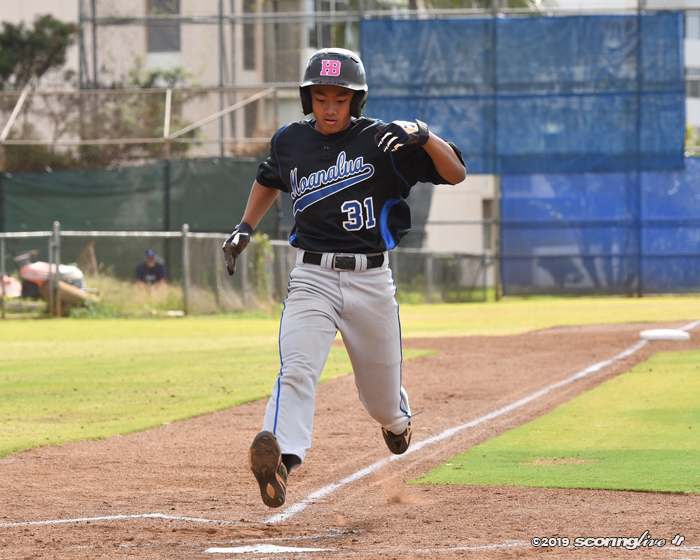 Na Menehune led 8-3 after the first inning and 9-5 after the second, but was held scoreless the rest of the way as the Surfriders kept chipping away before winning their third straight game. 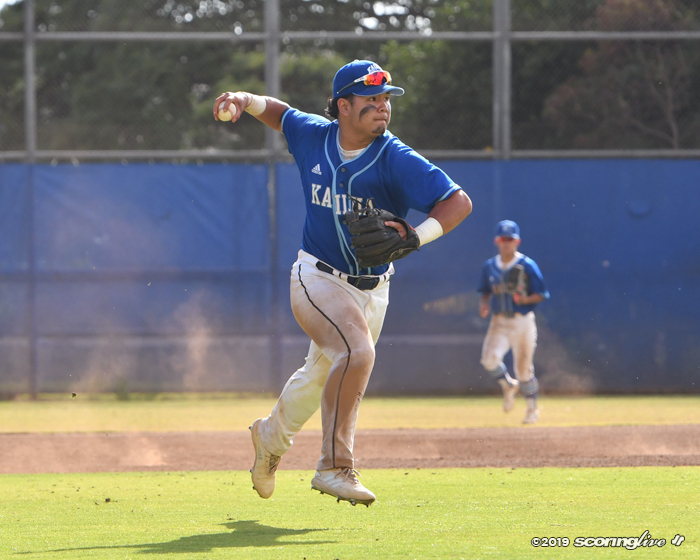 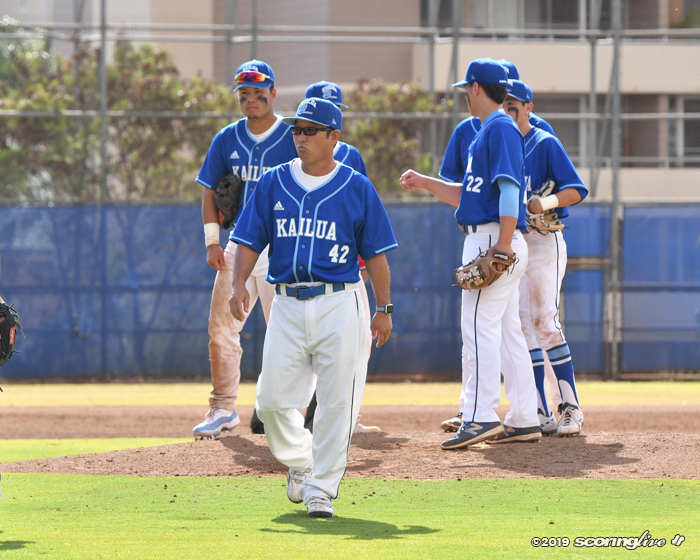 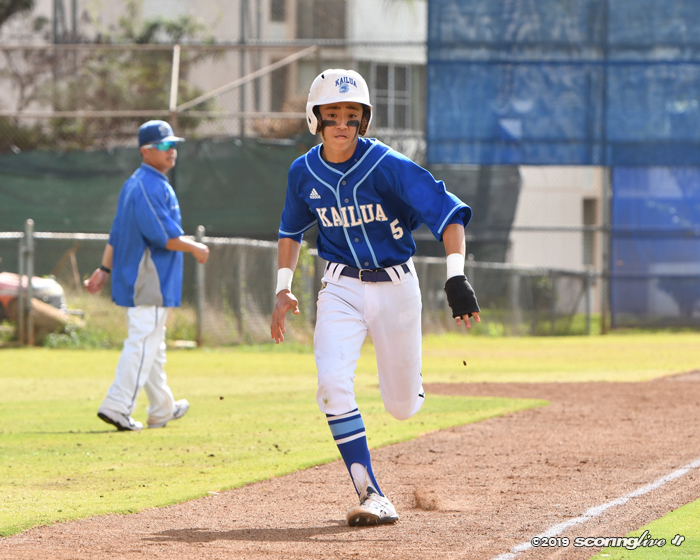 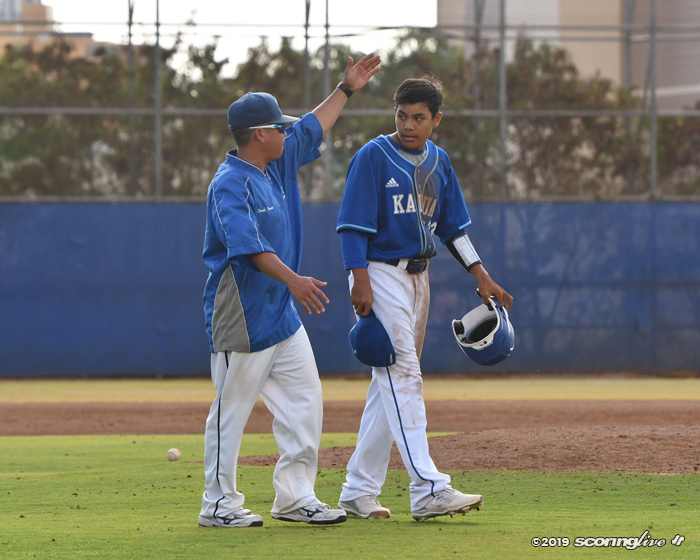 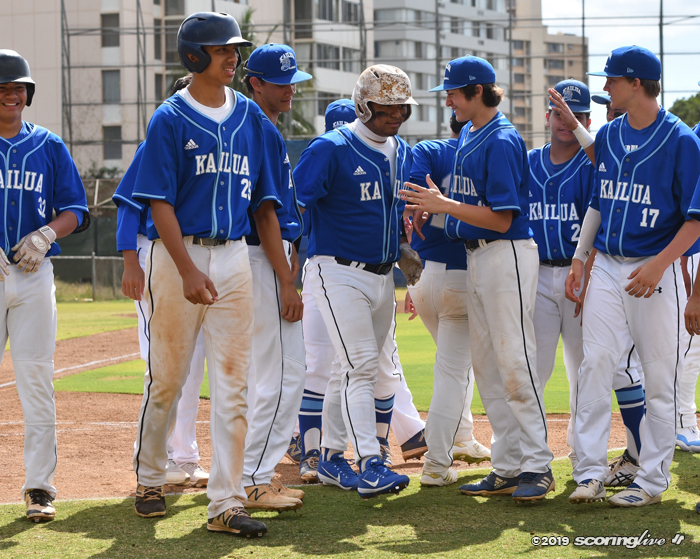 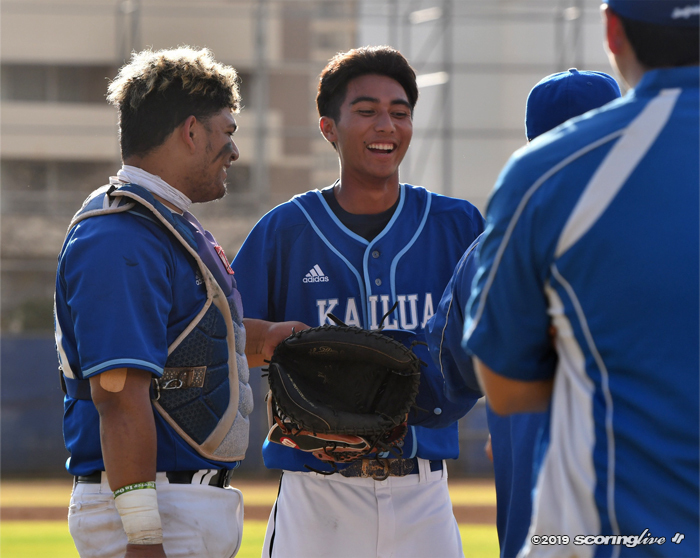 Kalua Neves hit two home runs with four RBIs to lead Kailua's comeback bid. 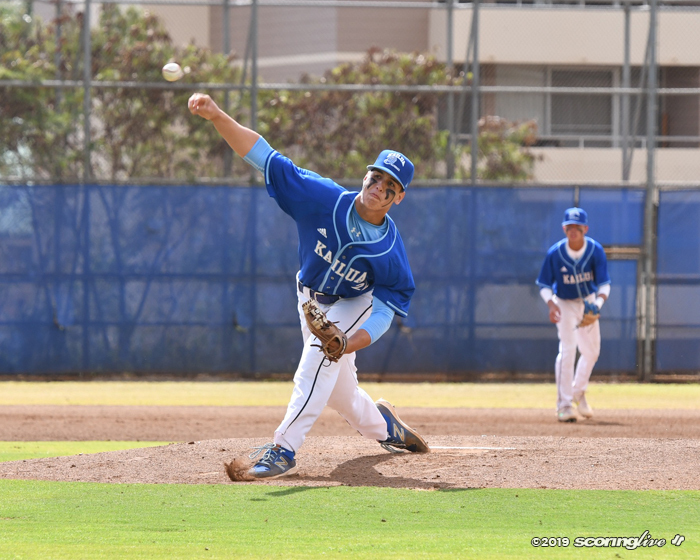 Starting pitcher Bryson Ewaliko was also key with four RBIs and Brandon Sarah knocked in two doubles. 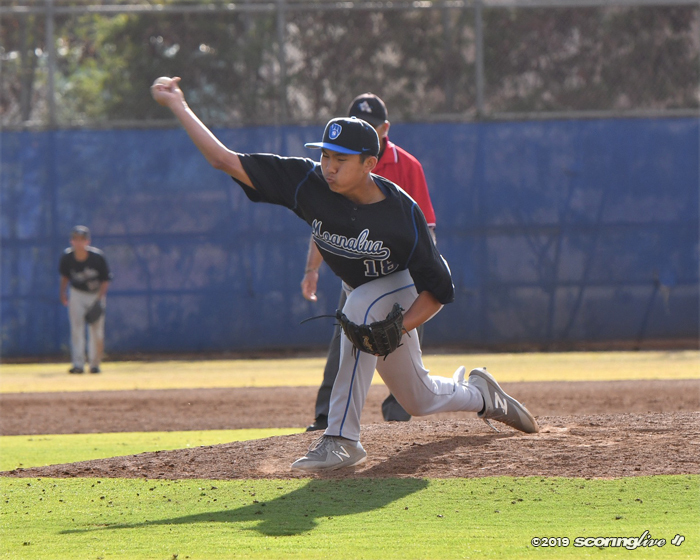 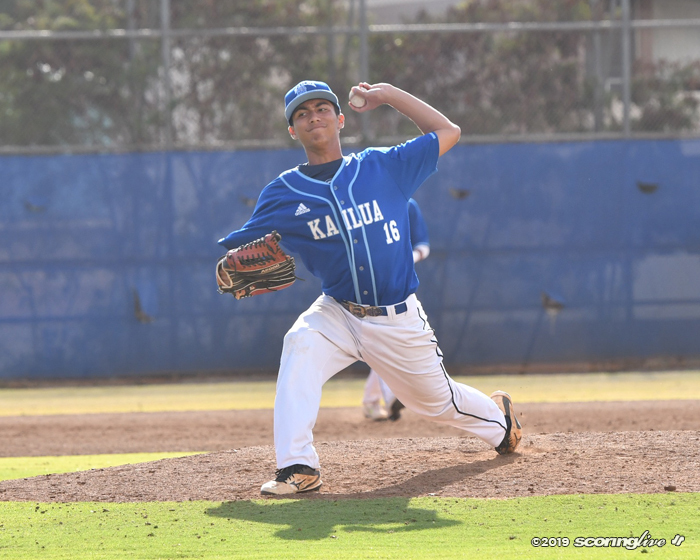 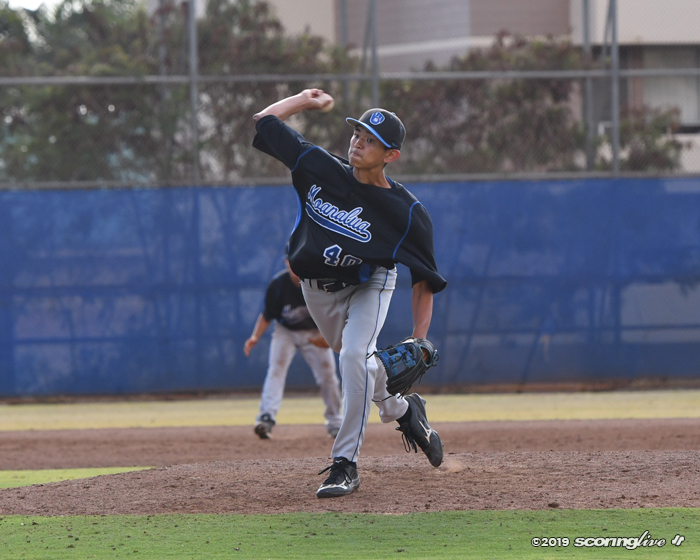 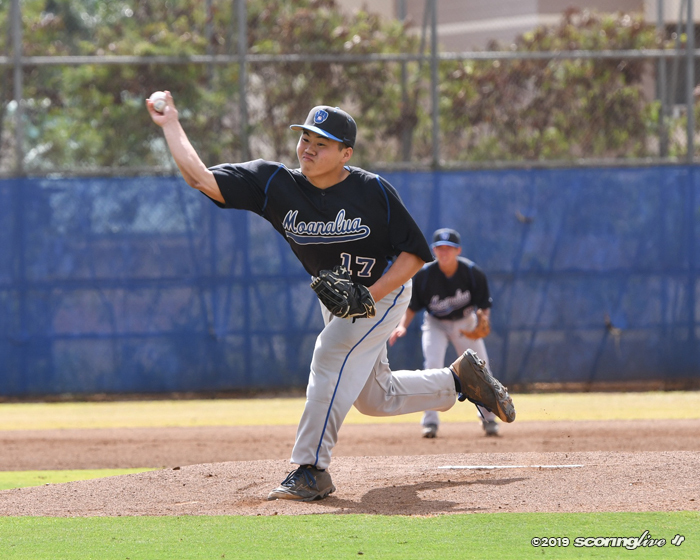 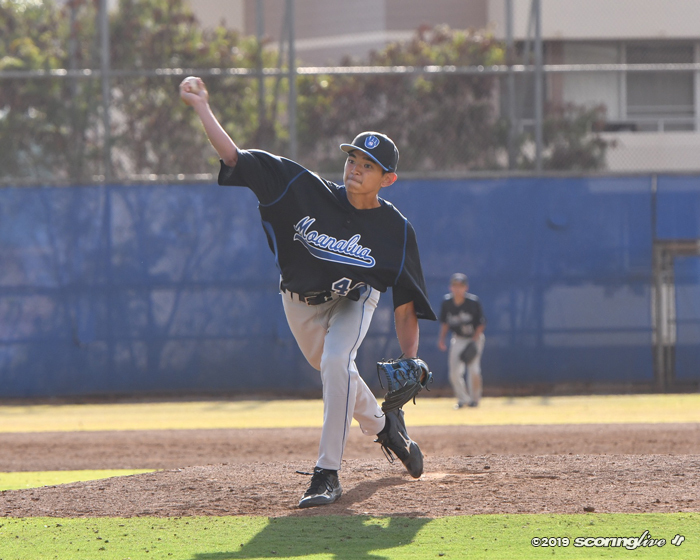 Shai Lolo-Tamashiro earned the win on the mound for the Surfriders (3-1) in three innings of no-hit ball with three strikeouts. 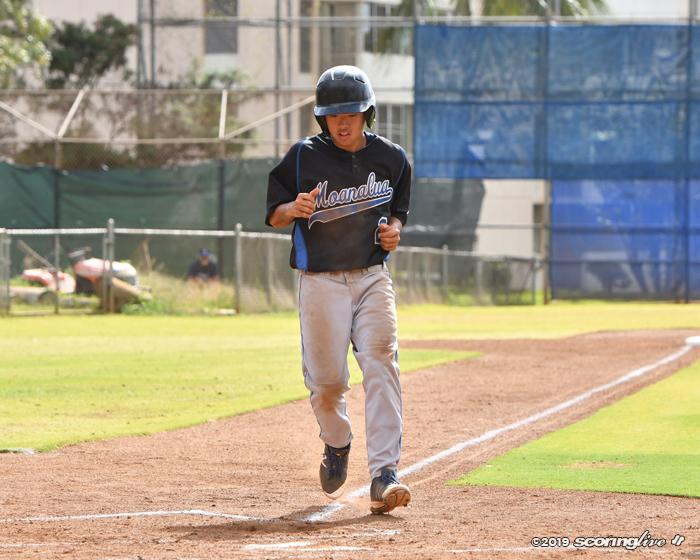 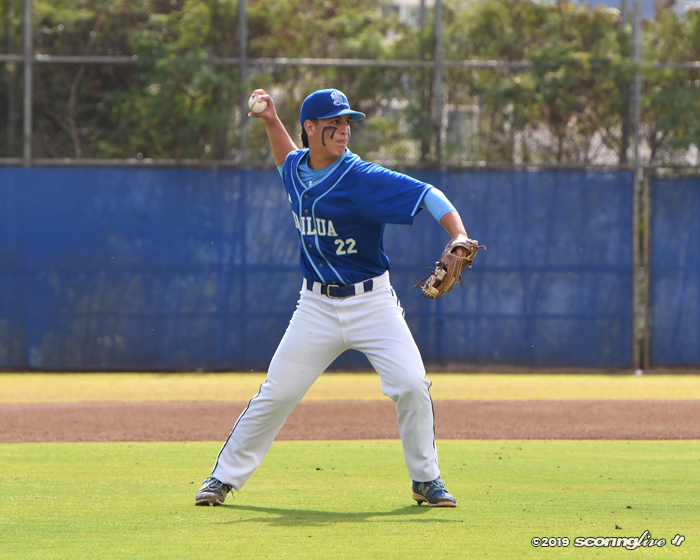 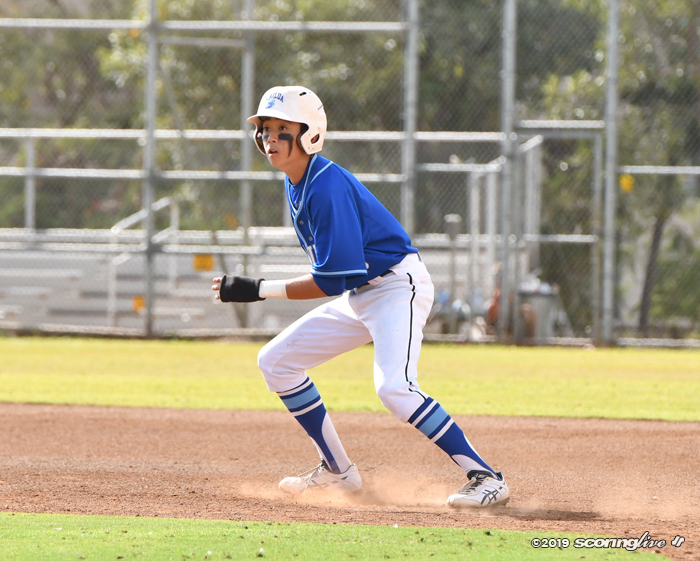 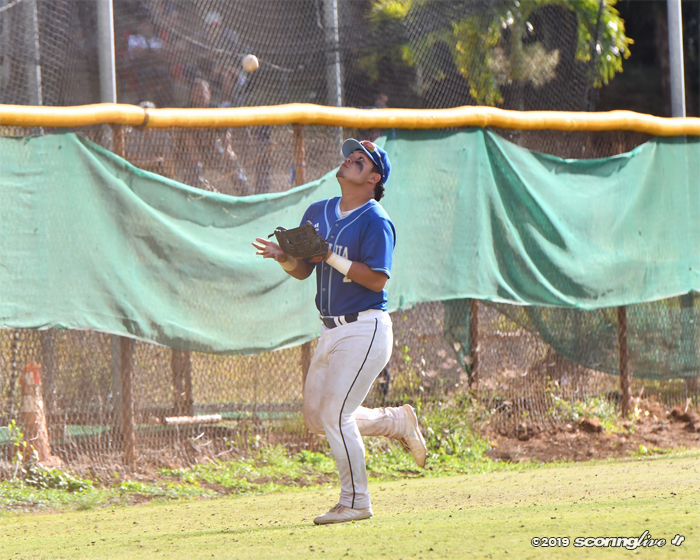 Cade Fernandez took the loss for Na Menehune (2-2) after allowing the go-ahead run to score in the top of the sixth.